Welcome to our site!! Stay updated!! 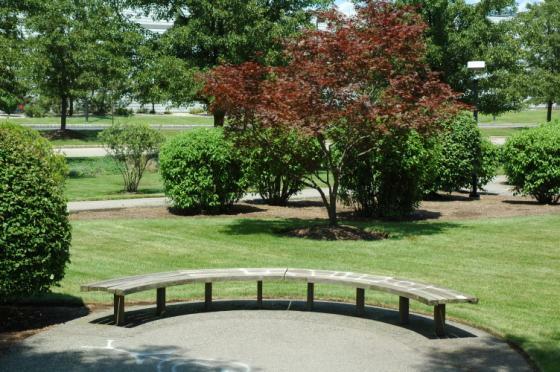 Fairfield For You is a community website dedicated to Fairfield NJ residents and our surrounding community friends to view and discuss our latest news, achievements, concerns and daily life of our beautiful townships. Please join in on our forums and check back regularly for news and events! 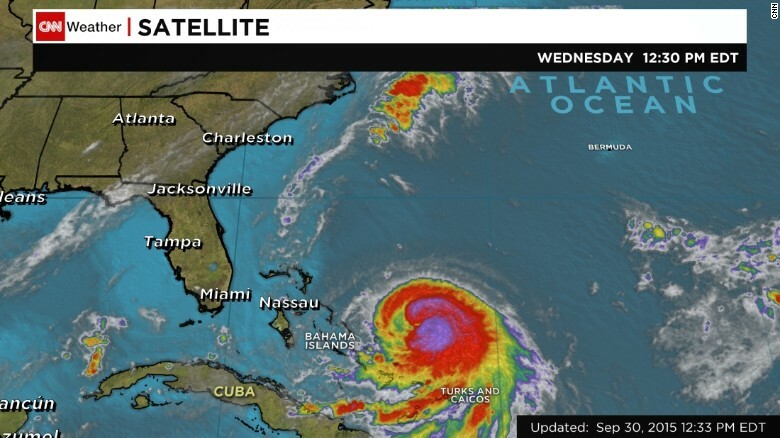 (CNN)The cyclone Joaquin strengthened into a Category 1 hurricane in the Atlantic on Wednesday morning, poised to pound the central Bahamas with heavy rain and dangerous storm surges in the next day. Its move after that -- still hard to predict -- could have flooding implications for an already drenched eastern United States. Joaquin's center was spinning 190 miles (305 kilometers) east-northeast of the central Bahamas. Its maximum sustained winds of 85 mph (130 kph) were mid-range for a Catergory 1 storm, but forecasters predicted it would become stronger. A hurricane warning was in effect for the central Bahamas, with the storm's center expected to be near or over the islands by Thursday before turning north, the U.S. National Hurricane Center said. A satellite image shows Hurricane Joaquin in the Atlantic Ocean, west of the Bahamas, on Wednesday afternoon. More than 10,000 people live on the Bahamian islands most squarely in the storm's path. Five to 20 inches of rain could fall over much of the central Bahamas through Friday, with lesser amounts expected over the rest of the country, the center said. "Preparations to protect life and property should be rushed to completion," the hurricane center said about the Bahamas on Wednesday. Rain and winds aren't the only concerns: Dangerous storm surges -- with water levels as high as 4 feet above normal tides -- are possible on the Bahamian coasts. Swells from Joaquin also will affect the southeastern U.S. coast by Friday, potentially creating life-threatening rip currents, the hurricane center said. A hurricane hasn't made landfall in the eastern United States since Hurricane Arthur hit North Carolina in 2014. That could change with Joaquin. Forecasters expect Joaquin to turn north after the Bahamas, but they have low confidence in predicting the path after that. Many U.S. computer forecast models predict a hit on the East Coast next week, anywhere from North Carolina to New York's Long Island. One European-based model predicts the storm going out to sea instead. "We simply don't know if it's going to go left into America or right and pass Bermuda," CNN meteorologist Chad Myers said. 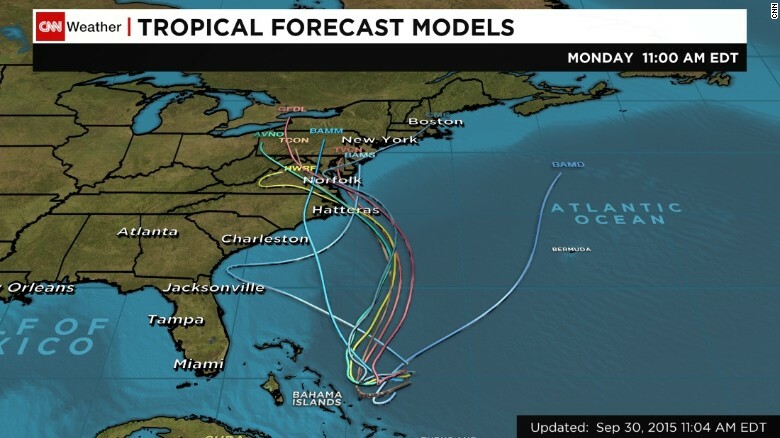 Many computer forecast models predict U.S. landfalls for Joaquin by next week. The hurricane center said Joaquin could become a Category 3 hurricane, with winds of 115 mph, in the Atlantic Ocean by Saturday after leaving the Bahamas. However, forecasters expect the hurricane to weaken and revert to a Category 2 shortly after that, the center said. FAIRFIELD - Fairfield residents will save $499,201 on flood insurance collectively thanks to the township rating as a class six in the Federal Emergency Management Agency’s Community Rating System. The town also received state funding for stream cleanup and will host a presentation by the U.S. Army Corps of Engineers regarding their plans for the Passaic River flood zone. Mayor James Gasparini and Township Administrator Joe Catenaro met with Region 2 Deputy Mitigation Director Bill McDonnell and CRS Program Specialist Crystal Tramunti for the presentation of a certificate declaring that Fairfield had maintained its class six status in 2014, with which it had started the program in 2013, on Monday. The class ranking system rewards municipalities for spreading awareness of flood issues and for taking steps to mitigate flooding. According to the CRS website, the classes are ranked from ten to one, with class one having 4,500 credit points and receiving a flood insurance premium reduction of 45 percent. Fairfield has 2,149 points at present, Tramunti said. “Hopefully we’ll see you next year with a five,” Catenaro told her at the meeting in the town hall. According to Catenaro, the rating system is all about increasing awareness and preparation and Gasparini added it added up to savings for the residents. “This means saving our tax payers more money along with remediation toward this whole flood issue,” Gasparini said. In Fairfield, 1,162 homeowners have flood insurance policies, according to Tramunti. Between them, the CRS rating nets $499,201 as the yearly community savings, she said. “It’s some small measure of relief in this unhealthy environment,” Catenaro said. This comes a few weeks before a presentation in Fairfield by the U.S. Army Corps of Engineers on Tuesday, March 25, when they will present the first phase of a flood management study. The study was launched in 2012 and narrowed down the Corps’ six options for Passaic River flood mitigation to three: levees and floodwalls, non-structural changes such as flood-proofing and elevation of homes, or the creation of a tunnel to divert the water to Newark Bay. “The Army Corps is pleased to be moving forward with our partners in the New Jersey Department of Environmental Protection on this important study of flood risk management alternatives for communities in the Passaic River Basin,” said Colonel Paul E. Owen. One public meeting will be held on Tuesday, March 25 at the Winston S. Churchill School, at 233 Fairfield Road, Fairfield. Each meeting will be from 7 p.m. to 9 p.m., and will feature informal information exchange and poster board sessions with experts and a half-hour formal informational presentation. The Phase 1 Report is also available to the public online in PDF format at www.nan.usace.army.mil/Passaic. In the second phase of the study, the Army Corps will perform much more detailed engineering, hydrology, hydraulics and cost-benefit analyses, and will also more closely examine technological advancements that have taken place since basin risk management strategies were last comprehensively examined. The Army Corps is developing a cost estimate for the second phase study, which will be cost-shared by the Army Corps and DEP. Fairfield also received a stream-cleaning grant for $184,800 from the DEP to use to clean the watercourses of Deepavall Brook, Greenbrook, and Big Peace Meadows. This grant was developed for Passaic River Basin municipalities under bipartisan legislation sponsored by Assemblyman Jay Webber. The legislation and grants are designed to alleviate chronic flooding and provide for the de-snagging and dredging of waterways in the Passaic River Basin. “The legislation and grants directly heed the call for dredging and de-snagging waterways from residents of Fairfield, Lincoln Park, Montville, Parsippany, and other municipalities that have suffered repetitive flooding in the Passaic River Basin,” said Webber, R–Morris, Essex, and Passaic in a press release dated Monday, March 10. Assemblyman Webber’s Legislation included no new state spending — it re-prioritized an already-existing $3 million pot of State funds from a 2003 bond act made available due to cost savings, project deferrals, and cancellations from the previously funded Lower Saddle River Project. Now almost one-third of that appropriation will be sent to aid towns in the 26th Legislative District for flood control. TRENTON, N.J. (AP) - Army Corps of Engineers and Environmental Protection Department officials have announced three options to help communities along New Jersey's Passaic River Basin deal with flooding. But it will take time and money before officials whittle the plans down to a final comprehensive flood risk management project. Officials will consider diverting flood water from the basin through a tunnel to Newark Bay. Such a plan was authorized by Congress in 1990. Another plan would combine levees and floodwalls with buyouts, flood-proofing and raising homes. The final option is to elevate homes and to use buyouts without large-scale construction projects. Flooding has plagued the Passaic River Basin, which flows through Bergen, Essex, Hudson, Morris, Passaic, Somerset and Union counties. Three public hearings will be held on the plans, beginning March 25th.